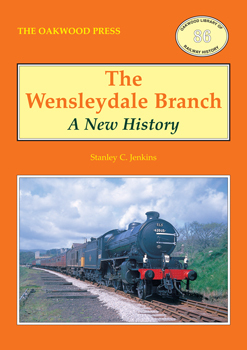 Running for almost 40 miles across the former North Riding of Yorkshire, the Wensleydale line was one of the longest secondary routes on the North Eastern Railway system. Built in stages, over a 30 year period, this picturesque route eventually formed a link between the east coast main line at Northallerton and the Settle & Carlisle Railway at Garsdale. This, the third edition of this history has brought the story up-to-date. A5 format, the book has a full colour glossy jacket. More than 140 photographs, maps and plans illustrate the 196 pages.